In these politically-correct, economically-challenging times, buying the perfect inexpensive holiday gifts for coworkers is more difficult than ever. But before you go to the dark side and join the cubicle Grinch, check out our list of Jobacle-approved inexpensive gifts for coworkers that are both neutral and cheap – and guaranteed to be appreciated for Christmas or any holiday. Brush up on The Rules of Office Gift Giving and go buy these today! Most gifts are under $10. Add your holiday gift ideas for coworkers in the comments section. 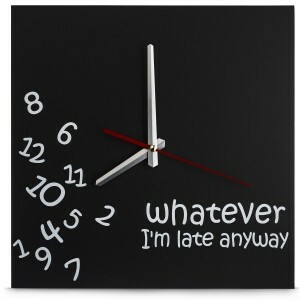 And be sure to check out Gift for Coworkers, a blog dedicated to affordable office gifts. 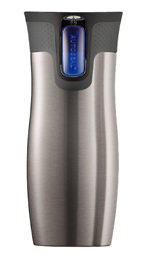 And don’t miss our post on bulk Christmas gifts for coworkers. Rhianna not included. 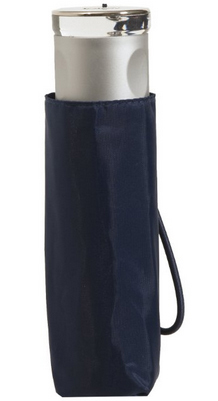 Everyone appreciates a good umbrella, especially if it’s lightweight, folds up small, and can withstand the elements. I’ve never met an umbrella I couldn’t lose, and that’s precisely why it makes the perfect inexpensive gifts for coworkers. Size does matter. Go micro or ninja! Thermostat wars at the office are a rite of passage. The problem is, there’s no end in sight. 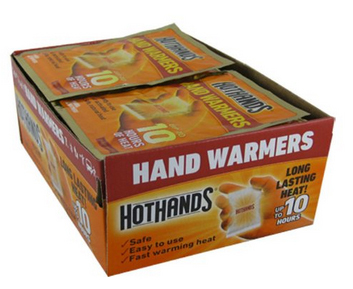 If you have a coworker who is always complaining that they are cold around the office, why not get them a few hand warmers? There are lots of ways to heat your frozen hands, but I am partial to the simple disposable warmers that you toss after several hours of use. Good for the environment, no. Toasty for your coworker? Absolutely! Plants can be misconstrued as flowers, which could piss off your coworkers husband (or wife), so tread lightly! But if you can find a small, hardy plant that can survive the limited sunlight of your office, going green will benefit your coworkers and you. Not only are they relaxing to look at, but they filter the air, release much-needed oxygen and can increase productivity. 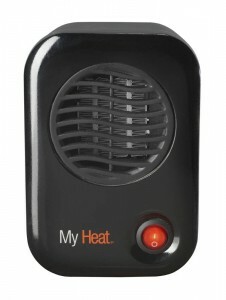 Aren’t you tired of hearing your work colleagues complaining about the temperature in the office? Take matters into your own hands, and give a thoughtful gift in the process. This is the fan I use on my desk and it’s held strong for over 5 years now! 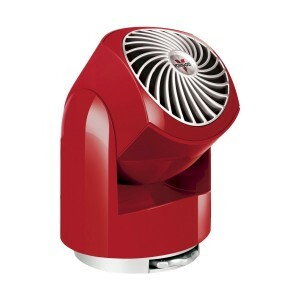 Be sure to check out our guide on desk fans and cubicle heaters which make the perfect inexpensive Christmas gifts for coworkers. Whether it’s Office Space or Elf, who doesn’t like movies? Even your Grinch of a boss can get down with some DVDs arriving at his doorstep. Or, take his wife, who has to endure his bullsh*t more than you do, to the cinema. Coffee is so 2000-late. Open your coworkers eyes to a life of whiter teeth, better breath, less caffeine and mega anti-oxidants. White tea comes in a gazillion different flavors and is a more civilized choice at the office. 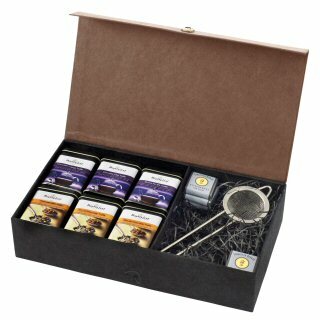 If properly sealed, tea lasts a long time – buy in bulk for inexpensive gifts for coworkers. 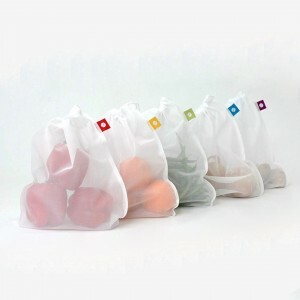 I have fallen in love with these reusable bags that sit in a stretchy pouch and convert into a full-size bag in seconds. Stash one in your messenger bag or purse, ready to go, 24-7. The perfect small gift for coworkers, neighbors and friends! 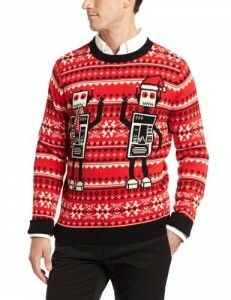 Buying gifts for coworkers? Let us know what you’re buying below! Hot Amazon deals. 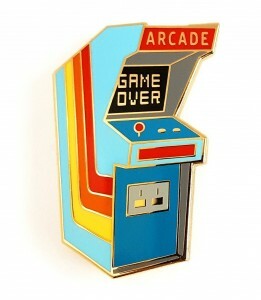 These pint-size retro arcade games are rad…dope…cool! The 1.5″ screen is microscopic but totally playable! No loose change required! While certainly on the last leg of their annoying existence, fidget spinners and stress cubes are still inexplicably popular amongst anxious and/or bored workers and a guaranteed bulk holiday gift success. From Desktop Fidget Sticks designed to help with balance to 3-D Maze Balls, these handheld office gizmos are super cheap and sure to get the office talking. So many people love sushi. 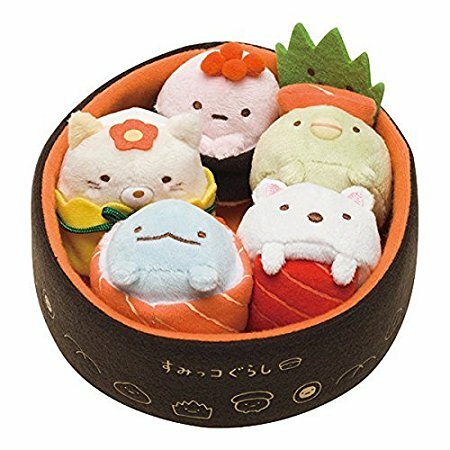 And those same people will appreciate this curated list of gifts for sushi lovers. Polaroids might be dead, but the folks at Fuji are keeping the instant photo dream alive with a new batch of affordable products that deliver on-the-spot photo prints. 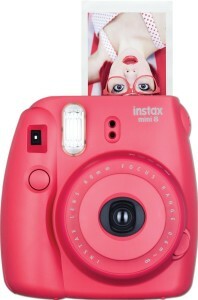 These colorful cameras are sure to be a hit with the office millennial or nostalgic Gen Xer. Don’t forget the film. Sorry to say it but in this day and age of terrorism you want to be protected at the office in case of the unthinkable. 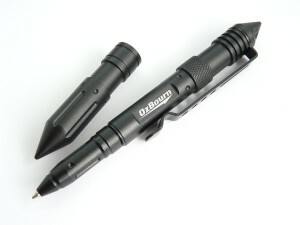 These pens, which double as defensive weapons, are made from tough lightweight aircraft aluminum. Just be sure to gift them to people you like! I have no idea who physically writes anymore, let alone with a pencil. 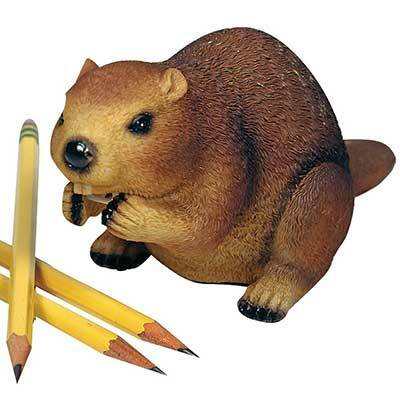 But you might want to reconsider with some of these cool available pencil sharpeners. East and effective inexpensive Christmas gifts for coworkers! Your boss will totally freak when he sees you have written all over your desk. 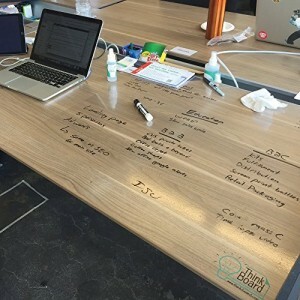 Think Board is a clear film that turns virtually any surface into a dry erase board! 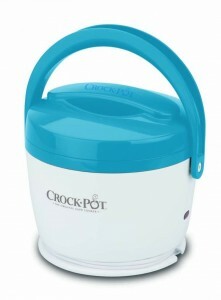 This dishwasher-safe baby Crock will keep up to 20oz of your favorite stews and soups warm. No more stinky community microwave oven! Lapel pins, a once thought of fashion relic, have come back in full force with Millenials and fashion-conscious workers. 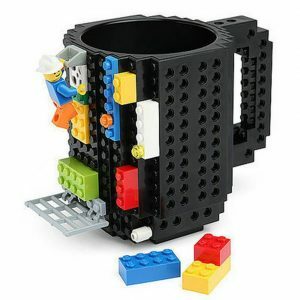 Create a modern look and entertain around your desk in style with this build-on-brick-mug. It’s darn awesome. But it must be hand washed (not your problem!). 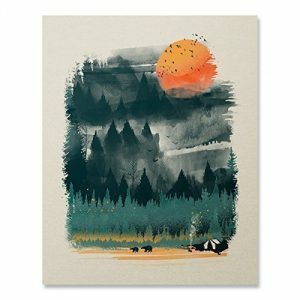 Printed on 80# coated paper with a matte finish, this 8″ x 10″ art is unpretentious and a great addition to cubicles across the globe. 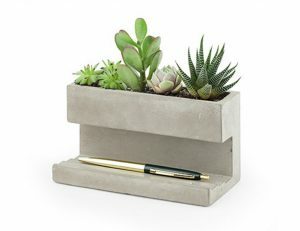 Go green at the office with this desktop planter made of solid concrete. 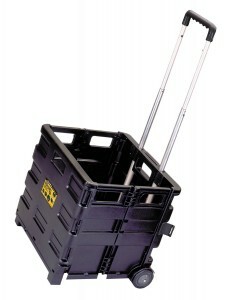 The terraced base holds pens, business cards, or other small supplies. 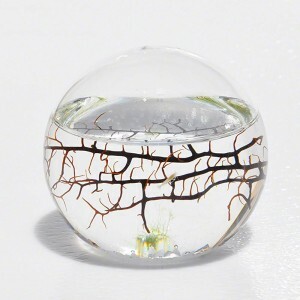 Some of these cool items for your desk make the ultimate holiday gifts for coworkers. I mean, that stapler is clear. Come on! I’d be remiss if I didn’t sneak in a little promotion for my very first children’s book that I authored. 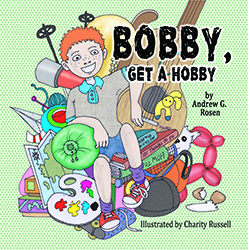 If there is a kid in your life that spends too much time with technology, this back-to-basics picture book about finding a hobby makes a great gift! You’d be hard-pressed to find a dude at your office that doesn’t want a drone. 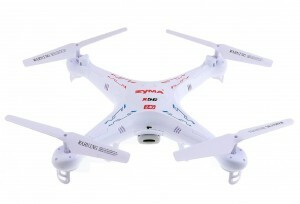 Since most of us can’t afford a Phantom or GoPro Karma, we can still enjoy ourselves as we crash on the cheap with one of these cheap beginner drone options into the fluorescent work lights. 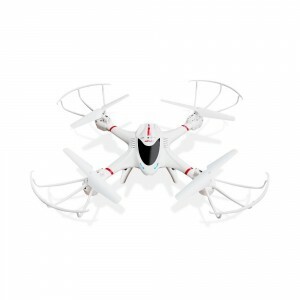 Suitable for indoor and outdoor flying, this quadcopter is easy to operate and delivers a stable flight. 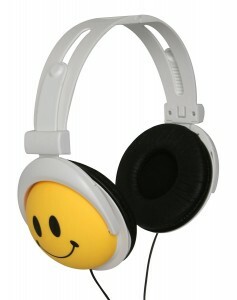 Perfect for the office as these bad boys will not interfere with each other during simultaneous operation. Buy in bulk! Packed with cool features such as an HD camera, one-button flip capability, and 360-degree immersion, this drone is wind resistant too! Seven minutes of flight time (and only a 100 minute charge time!) will ensure that your cubemates are gonna go nuts. 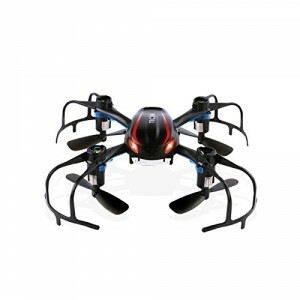 With a 6-axis gyro flying control system, this stable and small drone allows you to connect your phone to view all the aerial action in real time. It’s also compatible with 3D VR headsets. If none of this makes sense to you, then you just found the perfect gift for the office technodork. There are three certainties in life: death, taxes, and that the career section at your local bookseller/online retailer will continually grow. 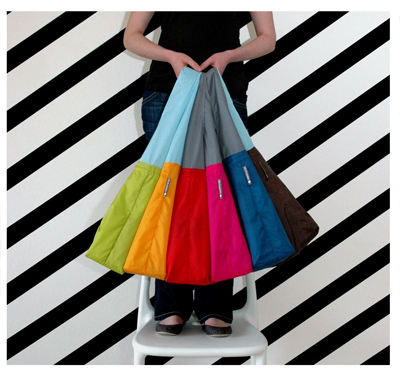 Several books that make great coworker gifts include What Color Is Your Parachute? 2017; Now, Discover Your Strengths; Never Eat Alone; The $100 Startup; and a gazillion others. 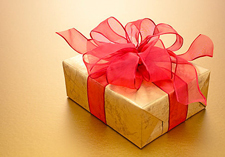 Just be sure that your gift doesn’t send an unintended message (i.e. – How to Build Confidence, possibly implying the person is not confident). Books are great inexpensive Christmas gifts for coworkers. If you’re looking for a perfect Secret Santa gift that comes in at around $30, you can’t go wrong with the Google Chromecast. Your work colleagues can stream online video, music, photos and more to their TV using their smartphone, tablet, or laptop. With apps from Netflix, YouTube, HBO Go, Hulu Plus, Pandora, ESPN, MLB.TV, Google Play and more, this is the gift that will keep on streaming throughout the year — and make you a hero at the gift exchange. Actually, I take that all back. The Amazon Fire Stick (with Kodi installed) is your best option! Is it me or does it seem like the gloves people choose say a lot about their personality? 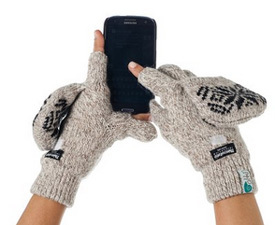 Crafty folks love mittens, commuters insist on gloves that allow them to text, and “manly men” won’t accept anything that is not weatherproof. Gloves are an extension of your coworker’s personality. Go out on a limb and pick up a pair that are practical and fun. Many of us spend the majority of our time at our desks. This means countless hours of dust accumulation. Not to mention, an impressive collection of crumbs and lint. 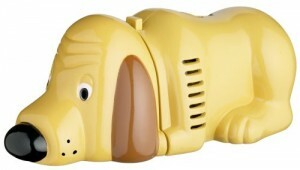 These cute, one-touch, AA-battery operated desk vacuums will help your coworker’s desk pass the boss’s white-glove inspection. Don’t let 21st-century technology scare you away from some classic stand-by office stocking stuffers. 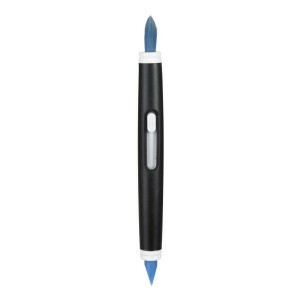 A unique pen can write up the perfect Secret Santa gift. 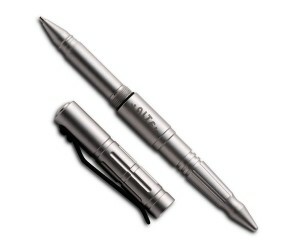 Check out these cool pens as holiday gifts for coworkers. Your desk at work is one of the few opportunities where you can reveal a little bit about your personal life to your colleagues. 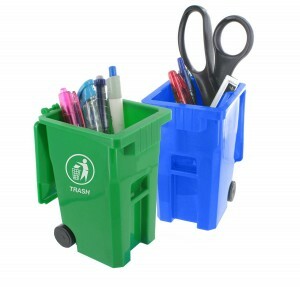 Make work better by surprising a coworker with one of these cool desk accessories. There is nothing more calming and beautiful than the quiet hum of a small fish tank on your desk. 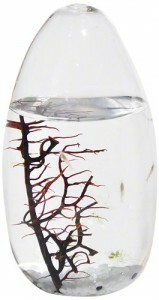 Give your coworkers the gift of aquatic life with one of these unique desk fish tanks. And make sure the irony of living in a corporate fishbowl is not lost on the recipient. 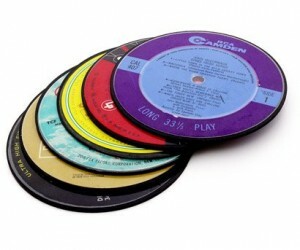 One great inexpensive coworker gift idea is a cool coaster set. 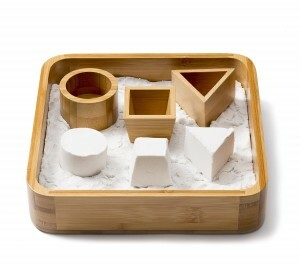 These are a great way to protect your desk and add a splash of art the otherwise dull office space. More inexpensive Christmas gifts for coworkers! Caffeine makes the world of work go ’round. Since avoiding your colleague’s stale coffee breath is an impossible feat, you might as well get them what they want for the holidays! These unique gifts for coffee drinkers will be the perfect addition to your Secret Santa or gift exchange. These soft bristles will let them sweep away any dust that has collected on their phone, keyboards, camera lens, etc. A slim silicone wiper grabs dirt from small, hard-to-reach places. And the bristles retract for storage! Works with the iPad and most touchscreen tablet devices, this reusable cleaning pad will help them effectively remove fingerprints and residue from all types of screens. It’s made of faux suede and leather-like material to ensure devices remain scratch free. And a built-in handle makes it easy to use. 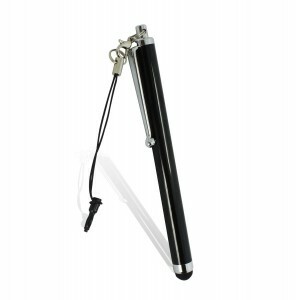 The only stylus that is as responsive as your fingers. 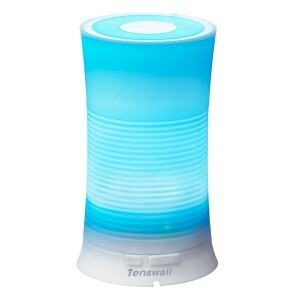 This cheap gift for coworkers will help them keep their device free of scratches. 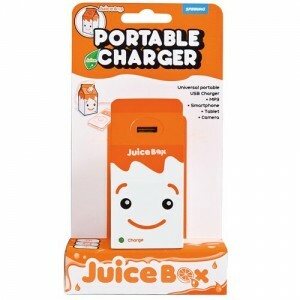 We all can use a little extra juice! Surprise a coworker at the Secret Santa or holiday gift exchange with this Grade A, Li-ion polymer high-quality portable charger. 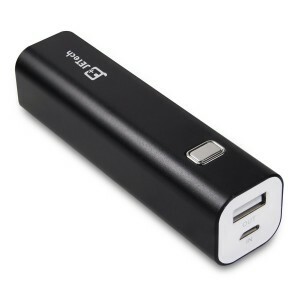 Works with Android, Apple or other devices by providing up to an additional 4 hours of additional battery time. 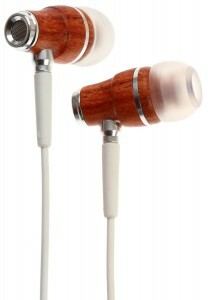 Whether your coworkers want to tune out their cubemates or talk safely on their phones using hands-free, these headphones feature a wood grain look and deliver excellent bass and acoustics. Hydration at work is imperative. Drinking throughout the day will keep your coworkers energized and alert. There’s no better gift than promoting wellness. 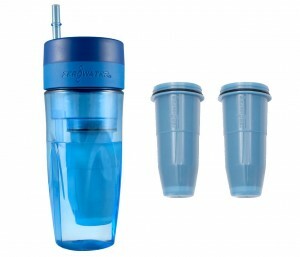 These items will remove virtually all impurities from tap water. That’s good for the consumer — and the environment. 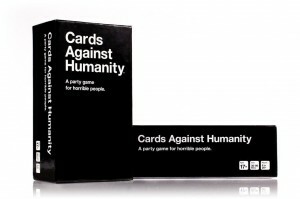 Some folks describe it as “despicable and awkward.” We’re talking about Cards Against Humanity, one of the top-selling Amazon items of all time. This game is guaranteed to be a hit whether it’s played at the back table at work or at home. Other silly, silly games. Encourage your coworkers to eat healthily and bring lunch from home. A major deterrent is finding the right container to bring your lunch in. 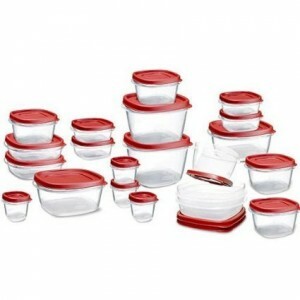 Solve the problem with this awesome Tupperware set. And if you’re super frugal this year, open the box and put a bow around individual pieces for your colleagues. What a practical and cheap gift idea! Who doesn’t love being reminded of a day at the beach? 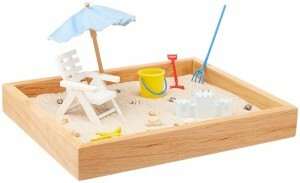 Grab this cute sandbox for your co-worker that spends every February break at a new Caribbean island. Stressed-out execs can rake the sand, imagine the sun on their faces and enjoy all the Zen benefits of beach time. Got an aspiring golf pro in your office? 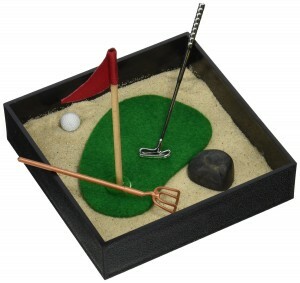 Let the duffer play out all his U.S. Open fantasies at the desk with a mini-green in a box. Great conversation starter for cubicle visitors. Moodycards allow you to express yourself in over 30 ways at work and let your co-workers know how you are feeling. 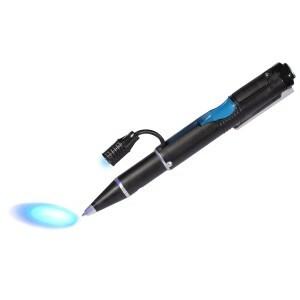 Even write your own message with an included erasable marker and blank cards. This book’s title says it all. 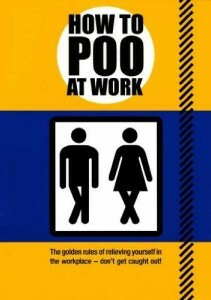 This is your ultimate guide to handling potentially awkward situations in the potty at work. 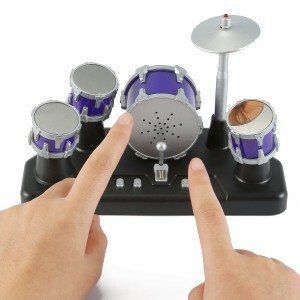 Five touch sensitive drums. 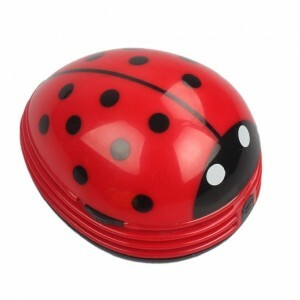 Three AAA batteries (and rhythm) not included. 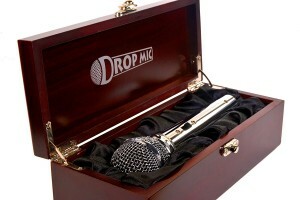 This Executive Drop Mic is a must for any decision maker or peon. It’s a metal prop that allows employees to have the final word, anytime, every time. Perfect for the weekend DIY warrior in your midst. If your cubicle mate regales you with stories of painting his kid’s bedroom or laying down the perfect tile floor, this Stanley tool organizer and cart will make their day. 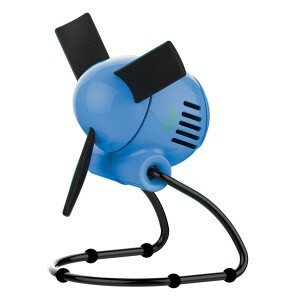 Inexpensive enough to be a reasonable co-worker gift and functional enough to make the recipient stoked. 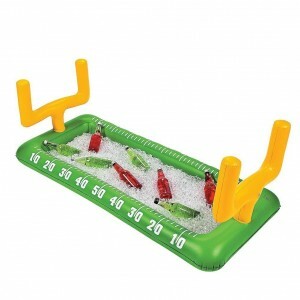 This inflatable table display is perfect for tailgating, Sunday Funday parties or the big Super Bowl blowout. You know your co-worker that organizes the Super Bowl pool every year? And is always talking about the big game on Monday morning? Perfect present for them. 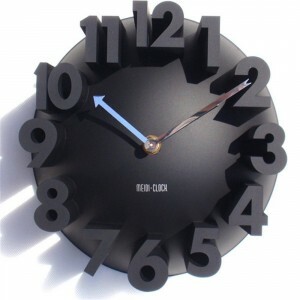 Since we’re all watching the clock at work, a cool desk or wall clock makes a great holiday gift. 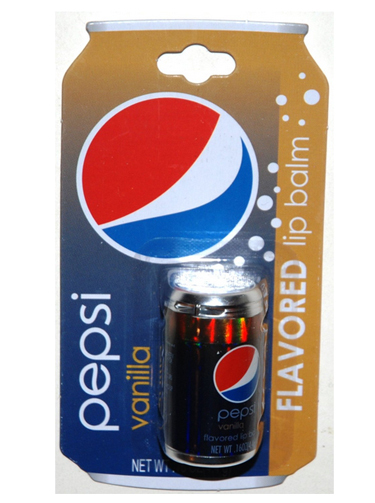 Over the past few years, there has been a lip balm revolution. Gone are the days of cough-medicine-tasting cherry. Thanks to some clever branding, you can now moisturize your lips with the flavor of soda, Vitamin Water, Marshmallow Peeps — even bacon. The eco-conscious coworker gets Burts Bees and the old schoolers get (my fave) basic black Chapstick. Get addicted at your own risk. Check out these coworker gifts…all for under $25 each! Are those essential oils in your pocket or are you just happy to see me? The clever gang at AromaGo have taken the pocket-size shape of Chapstick and turned it into a personal, on-demand aromatherapy session. 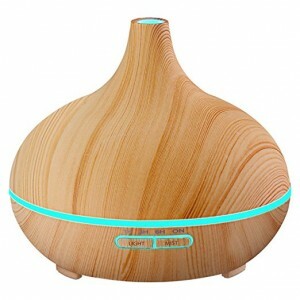 Lavender/Vanilla will help coworkers relax when the boss demands answers; the Peppermint/Eucalyptus will help workers get through the afternoon blues. Perfect for any desk, but be warned…you’ll find yourself going to your nose more often than a cokehead. 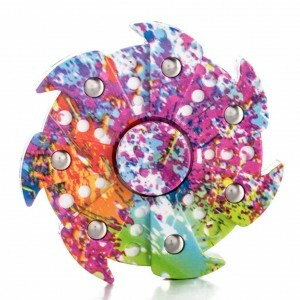 I always thought desk toys were for children, but this magnetic wunderkind has changed my mind. (Or maybe I’m regressing!) Comprised of 216 “rare earth magnets,” these balls can be torn apart or connected together, yielding awesome shapes like stars, cubes and flowers. You can even wear it as jewelry. Just make sure it stays on your side of the desk or it will become a germ factory. Your coworker could be behind the next big thing in…Tanzania! And it’s all because of you. A Kiva gift card enables the recipient to microfinance a business endeavor of their choice across the globe, helping alleviate poverty in the process. It’s the perfect last-minute gift choice because you can print these bad boys at the office or send via email. OK, so if you’re part of my semi-neurotic brethren, you’re likely not a fan of eating foods from “strange,” uninspected kitchens. But if you are able to check your craziness at the door, a baked treat, wrapped in festive cellophane, is a thoughtful, inexpensive and sweet way to spread holiday cheer and baked goods make great inexpensive gifts for coworkers. A tin of Altoids can send the wrong message, but a yummy-smelling car air freshener is usually a hit – even with nondrivers — a perfect inexpensive Christmas gift for coworkers. Thanks to little trees dangling from a string, we have the ability to re-scent our cars (or desk drawers) at any time. Keep the appearance and scent neutral with something like a beach theme so that the message can’t be misconstrued.